The Open Supervised Device Protocol (OSDP) was established in 2008 to provide a desperately needed alternative to long-antiquated access control protocols which contain a myriad of security vulnerabilities. As the number of identified flaws in the Clock-and-Data and Wiegand protocols grow, organisations are turning to OSDP to achieve security, efficiency and flexibility. Complete the short form to download this FREE EBook. Get hands and discover the latest access control solutions at IFSEC 2019, Europe’s leading integrated security event. It’s your chance to hear in person from security innovators on the emerging threats, trends and technology that will impact your access control security strategy, and see the solutions in action. 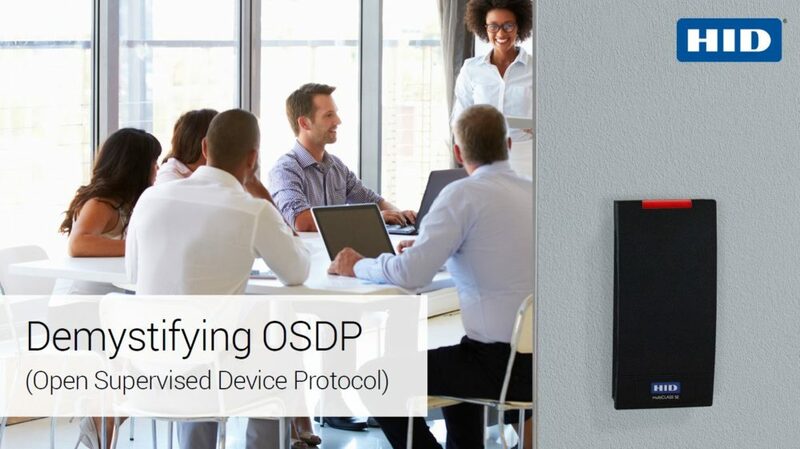 Demystifying OSDP (Open Supervised Device Protocol) As the number of flaws in clock-and-data and Wiegand protocols grew, a wide range of organisations adopted protocols like OSDP, which are future-proofed for a connected world. This EBook from HID Global examines the vulnerabilities of legacy systems and the benefits and future of the OSDP protocol.